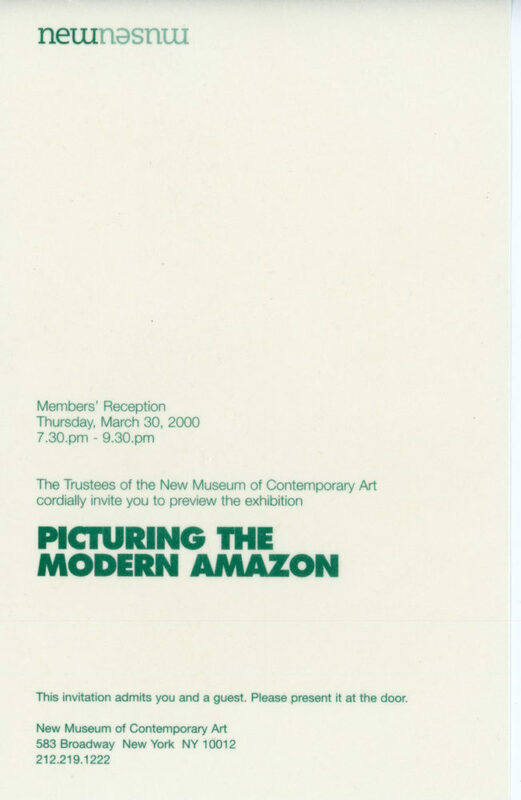 Folded exhibition invitation to Picturing the Modern Amazon, an exhibition devoted to images of hyper-muscular and physically strong women that explored female pleasure at the New Museum, 2000. 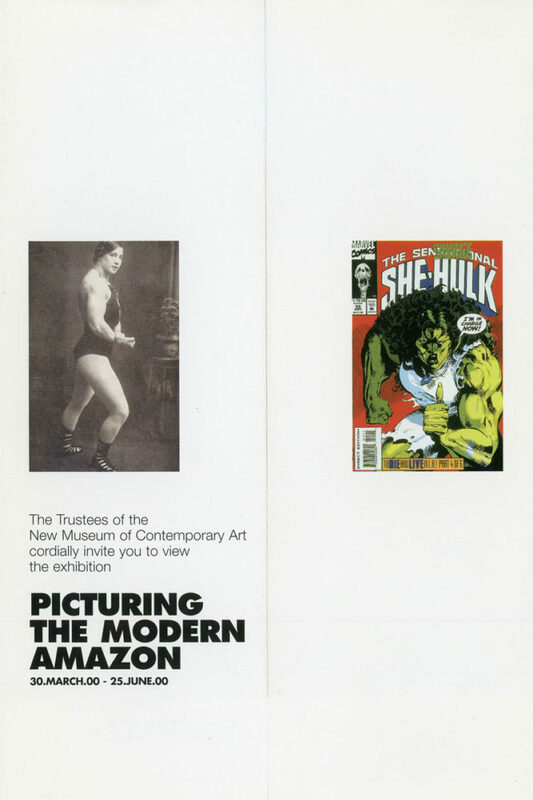 Programming included installations, artists talks, film screenings, lectures, and a live physique exhibition of over a dozen women bodybuilders. Inside of card features Marnie Weber’s The Competition, 1998.